The Lodge at Kauri Cliffs, Matauri Bay, New Zealand. Ranked #62 in our countdown of the 100 Best Hotels and Resorts in the World. 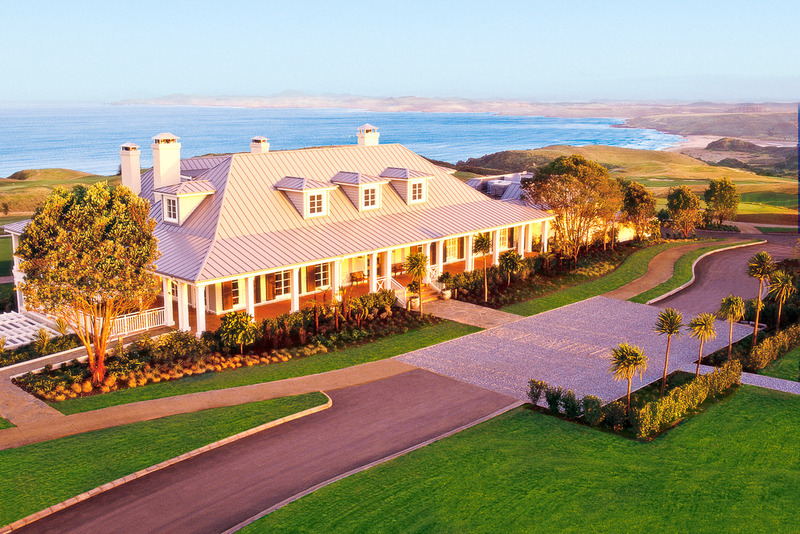 A modern country manor, The Lodge at Kauri Cliffs stands serenely on gently rolling pasture, with swoon-worthy views across the island-studded Pacific. The lodge’s suites are stylish and comfortable, all finest-quality fabrics and lovely hues. There’s every diversion – gym, tennis, sauna, divine swimming pool, fishing, mountain biking, horse riding. Did we mention clay-pigeon shooting? And it’s always tee-time – there’s a par 72 championship golf course of emerald green perfection, plus putting and chipping greens, practice range and a golf shop. At day’s end, guests converge on the spacious verandah for sundowners. Did you know The lodge has its own six-seater helicopter for touring the Bay of Islands.